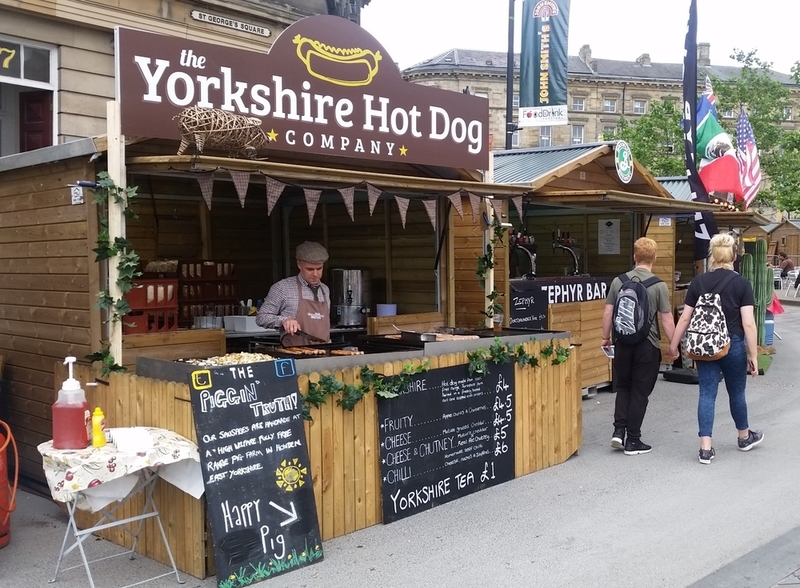 Putting the "by 'eck" into hot dogs, the Yorkshire Hot Dog company don flat caps and sizzle their sausages at outdoor events and festivals across the UK. "We pride ourselves on substance not style to ensure that every mouthful is a delicious taste experience. 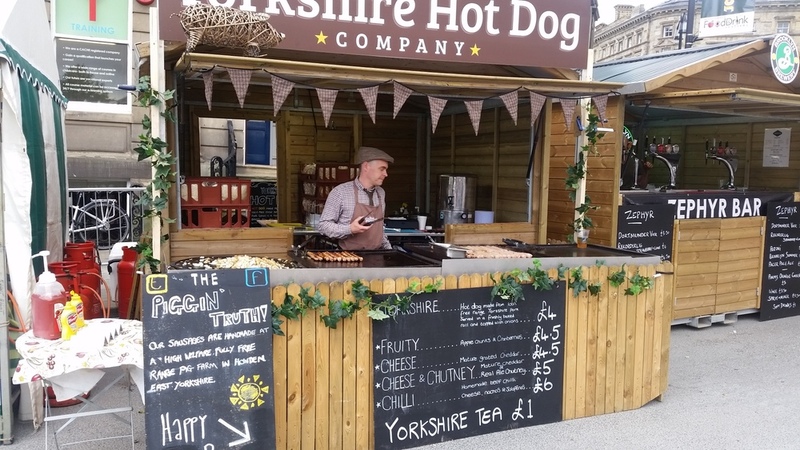 There's nothing more satisfying than to see our customers enjoying a Yorkshire Hot Dog and leaving with a massive grin on their face...plus a bit of mustard down the chin!" Our rolls are made fresh at a bakery and are collected within hours of them coming straight out of the bread oven! We scoured bakeries across Yorkshire to find the freshest and most delicious bread rolls to compliment our dogs. 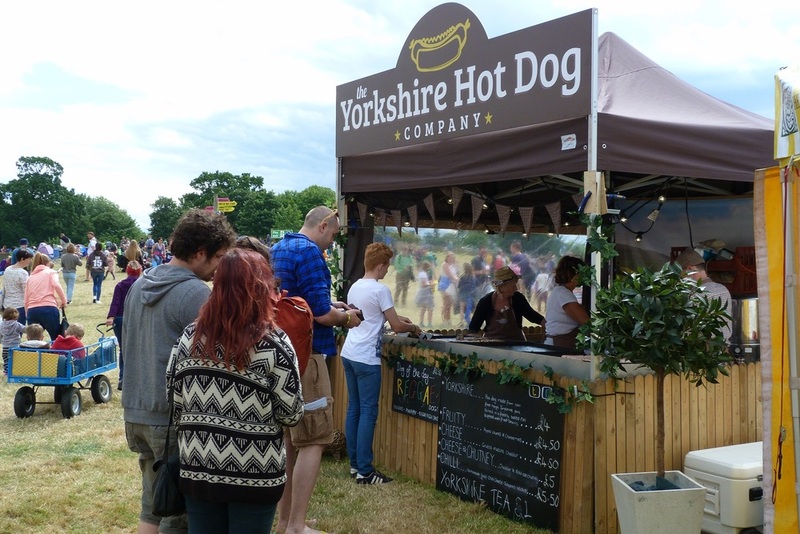 We hate to waste at the Yorkshire Hot Dog Co. so always endeavor to find a local food bank should any rolls be left over from an event. 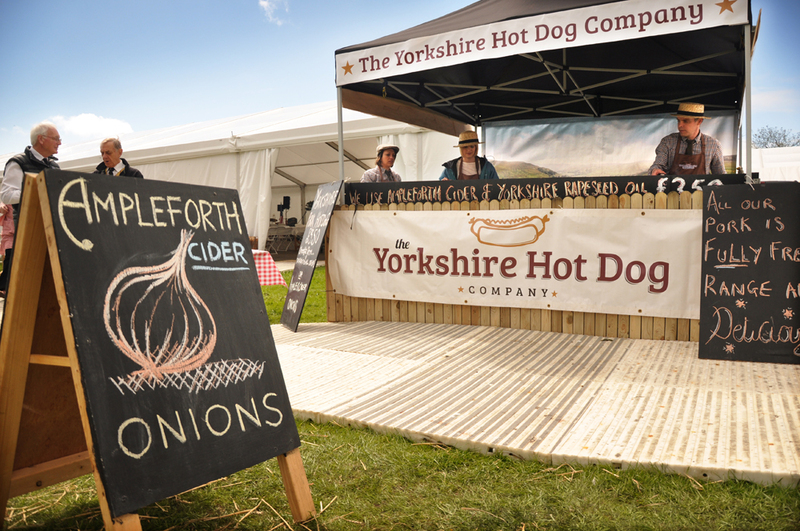 Our dogs are handmade at an award winning, high welfare, fully free range pig farm in East Yorkshire. As well as being Red Tractor assured, they have been awarded a Freedom Foods Award and a Good Pig Award for a commitment to high welfare. We collect our dogs directly from the farm's butchery before every event so customers can be assured that our product is as fresh as possible. Our sausages are delicately seasoned using mild English garden herbs and blended with black pepper to give a delicious classic taste! 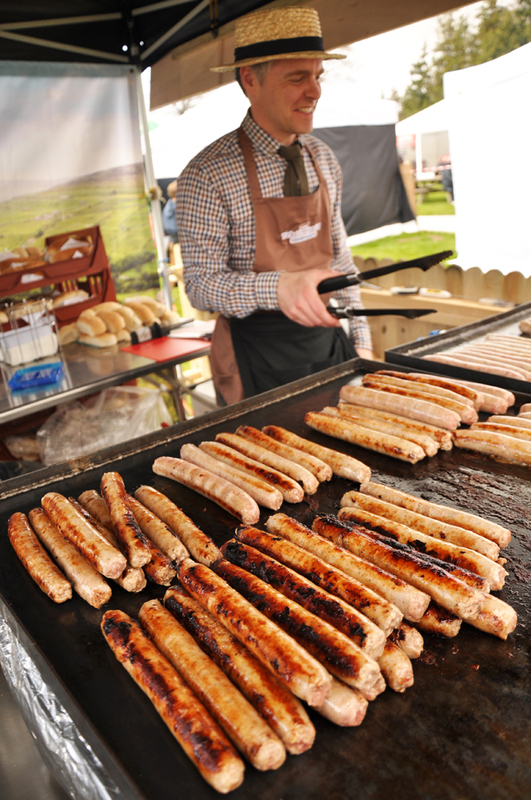 They go straight from farm to pan, we cook them on steel plates; you won't find any pre-cooked or boiled sausages on our stall! The Yorkshire Hotdog Co. Howden, East Yorkshire.